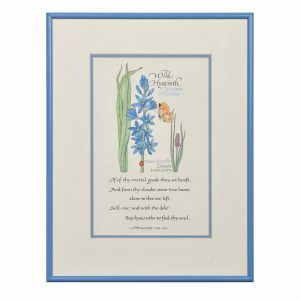 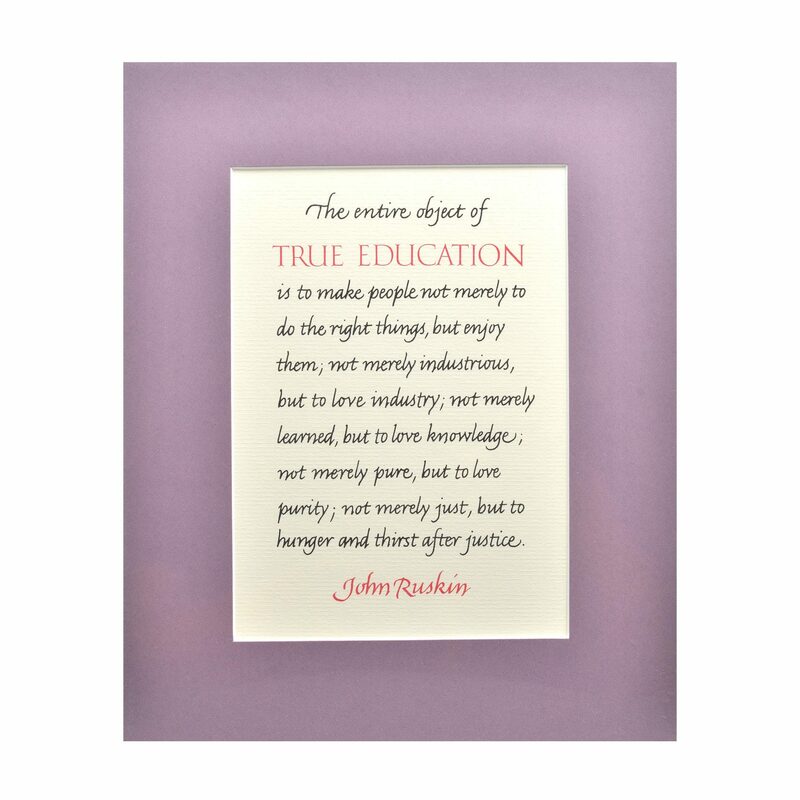 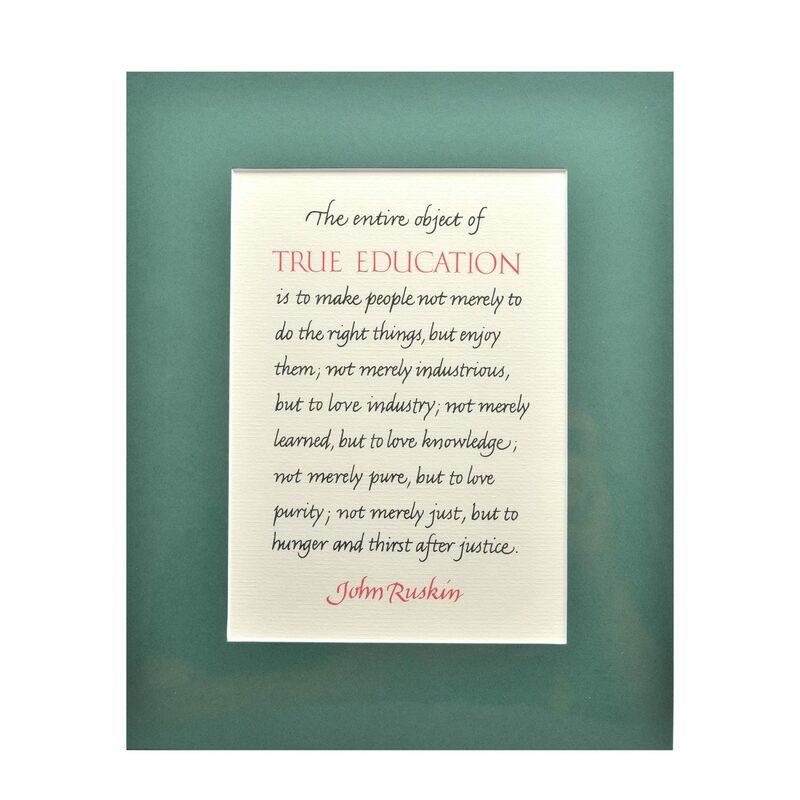 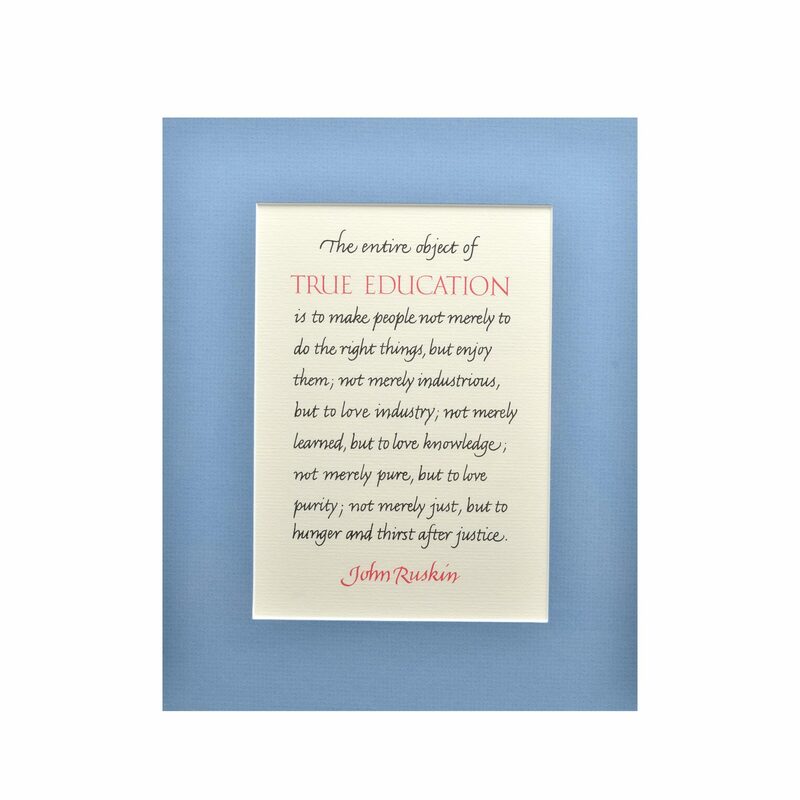 Print of quote by John Ruskin, designed by craftsman and artist, Michael W. Hughey. 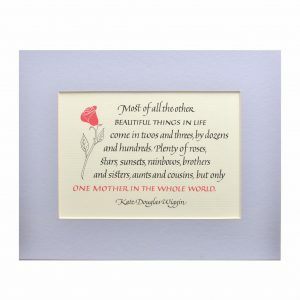 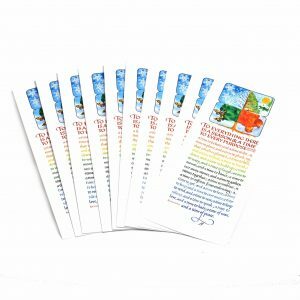 Michael has had a love affair with beautiful letters since childhood and finds a mystic fascination in alphabets and letters. 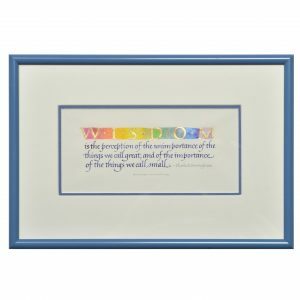 Through his unique work, he translates an ancient and noble craft into contemporary and elegant graphic statements.